Maxine Fleming has more than two decades of experience as a writer, script and story editor and is one of the top creators of television drama in New Zealand. Her most recent drama series, 800 Words, co-created with James Griffin, has become a top-rating hit for Channel Seven in Australia, and a new series is now in the pipeline. Other series Maxine has devised and written include the comedy-dramas Agent Anna, which earned her a SWANZ award for best comedy, Burying Brian and award-winning teen drama Being Eve. Maxine acted as script editor fornumerous episodes of the popular animated series bro-Town and was script editor on the boy-racer drama Ride With The Devil. Maxine is a 1999 TV Awards finalist, Best Drama Script for mini-series The Chosen and has written episodes for numerous other South Pacific Pictures’ drama series including The Almighty Johnsons, Outrageous Fortune, Interrogation, Jacksons Wharf and City Life. 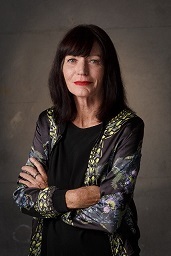 Having written for long-running serial drama Shortland Street since it first went to screen, Maxine also worked as a storyliner, script editor and story editor on the series.